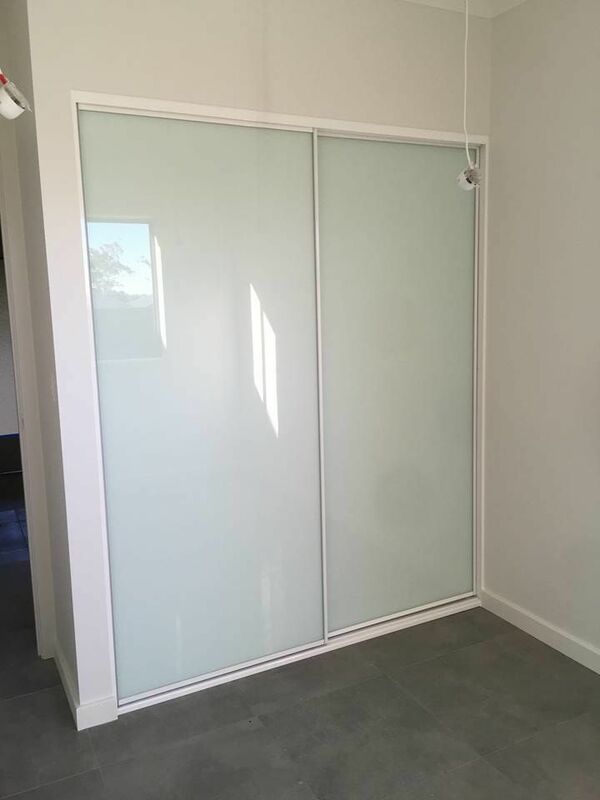 Frosted Glass Doors are becoming the most popular wardrobe door option nowadays, giving your home a modern finish. 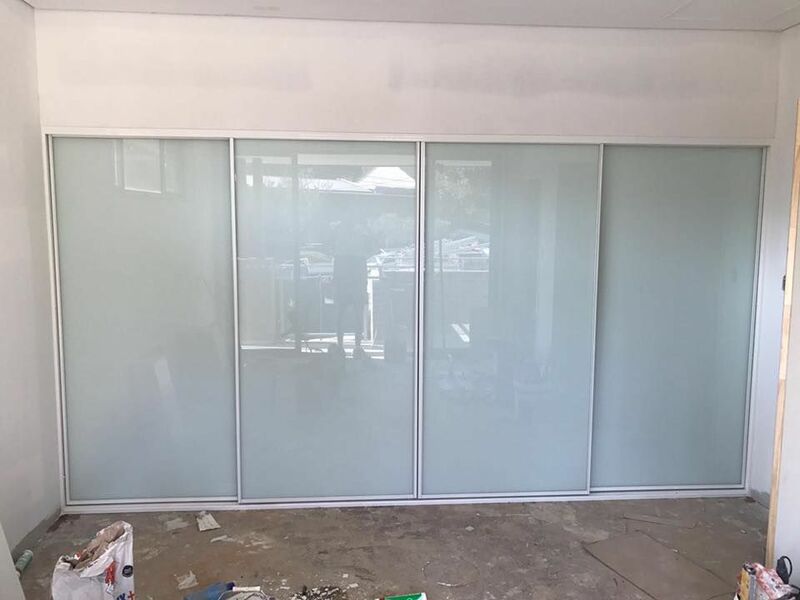 They are also very popular for wardrobes that are exposed to common areas in the home where you would not want a mirror finish, such as linen cupboards or other storage wardrobes. 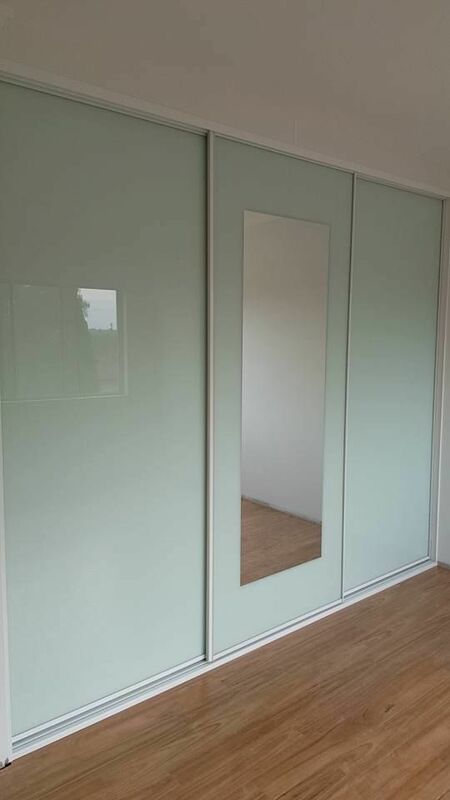 There are several different looks you can go for when chosing frosted glass for your wardrobe. 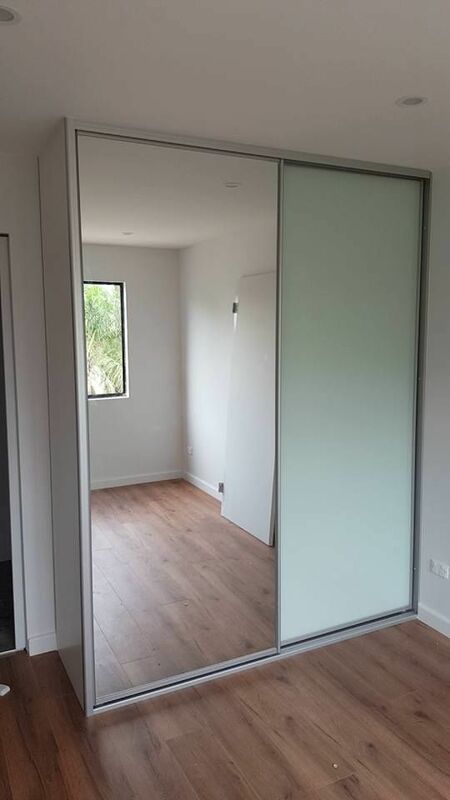 You can either go for an all glass look, or pair it up with a mirror door or a frosted glass door with a mirror insert. You can see some samples below of these options, as well as in our gallery.